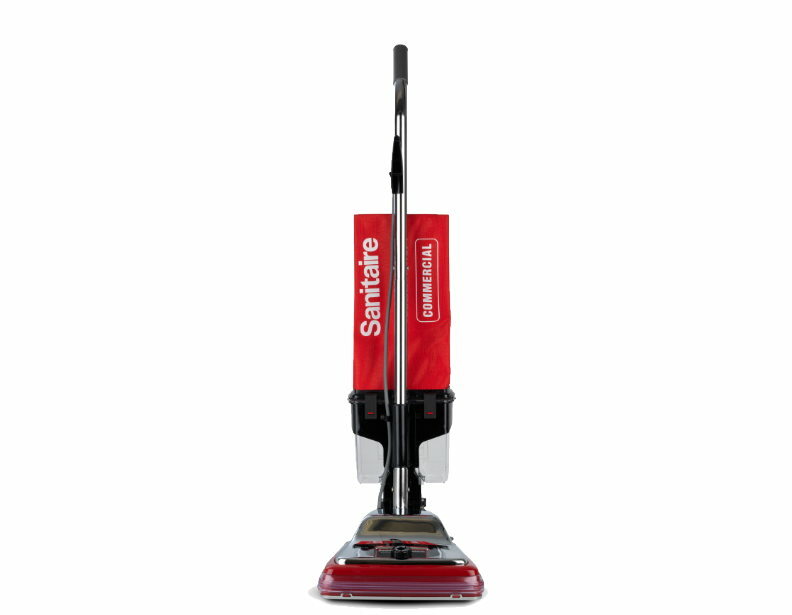 The innovative Sanitaire SC887B Quick Kleen Upright Vacuum Cleaner is UL listed and designed with the exclusive Quick Kleen feature that allows for easy access to the fan chamber. The 12-inch cleaning width, six level carpet adjustments and 50-foot power cord all help to provide the most convenient and effective cleaning experience for your home or business. 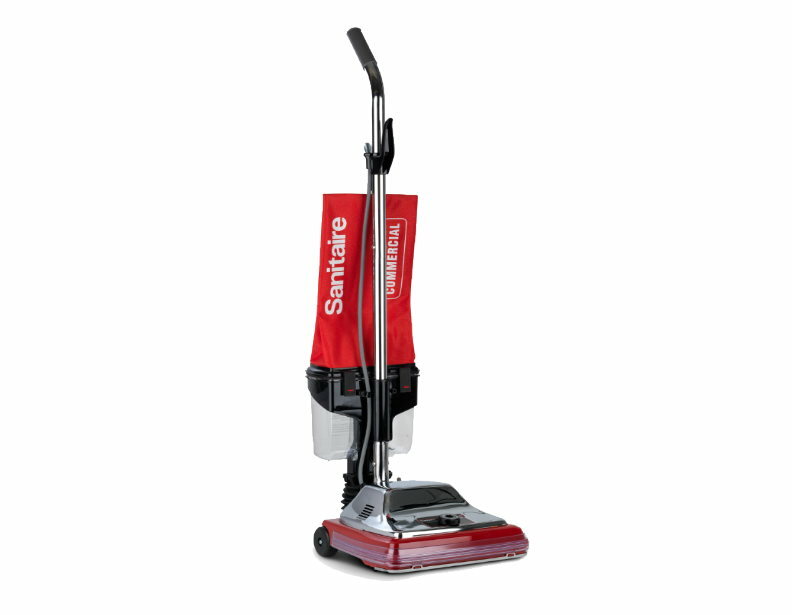 Additionally, the Vibra Groomer II chrome steel brush roll, large easy-roll wheels and chrome steel hood help to extend the life of this SC887B Quick Kleen Sanitaire vacuum cleaner, as well as save time and money. 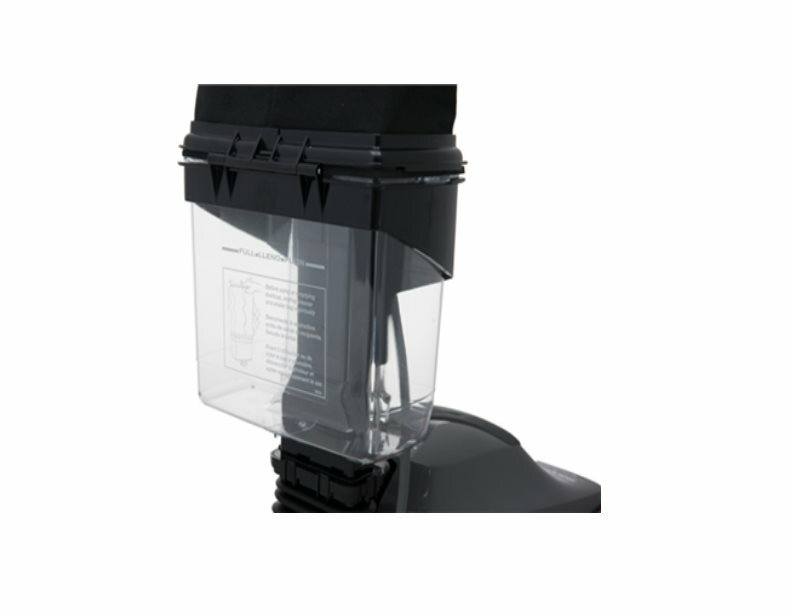 It has the EZ-Kleen clear dust cup that allows the operator to see when the dust cup needs to be emptied, making it the choice of extraordinary cleaning performance and long life. eVacuumStore.com's price includes free shipping! We supplemented our Dyson and the sanitaire cleaned so much better that we only use the Dyson on our wood floors. 50 foot cord is a bonus, can vacuum most of the house from one plug. The long cord lets me vacuum my entire apartment without having to switch outlets. Do yourself a favor and get an Electrolux Sanitaire vacuum.